3) Login your Mobikwik account or Sign up if you don’t have Mobikwik account. 4) Now Goto “Accept Payments” >> Enter your customer Mobile number and amount which you want to Accept >> Click on “Send Payment link“. 5) Customer will get Payment link, He/she need to click on it >> and Make the Payment using “Mobikwik” or “Payzapp” or “Oxigen wallet” or Debit/Credit cards or Netbanking or through UPI mode. 7) That’s it, Payment get Successful and will be transfer to your Bank account in next 2 working days. MobiKwik Lite is around 750 KB in size. Rarely do fully functioning apps have such a small footprint. You can download, install & sign-up in under 60 seconds – all of this on the slowest 2g Edge connection The secure login is also a quick, automated OTP based one. bhai is app ka review v dhek lo.. sbne 1 hi bat boli h paise a/c me credit ni horha h.. It will be manually by Mobikwik Team. We will share if got actual trick. Its very hard because it can be possible if someone provide payment gateway like Instamojo otherwise not possible. cashback of oxigen wont be transfered..it will pop up that insufficient main blaance in source wallet..if there is real cash in oxigen wallet then it will be possible otherwise not…. and one thing do you have procedure to transfer freecharge cash back to bank instead of instamojo??? Oxigen cashback payment working here !! Actually it is not working beacuse oxigen now not allowed its customers to use cashback on any site that can be used onlywithin oxigenwallet app or site for recharges,billpay etc only. OK if somehow they did not credit the amount in bank then where money will go..will it be reversed to oxigen or will I have to raise complaint on mobikwik again? Getting Refund or Money transfer is Real Problem from Mobikwik. Money got debited from Oxi wallet, but not showing in Mobi Lite wallet. Was it supposed to reflect in mobi wallet balance or it will directly get transfered into bank account without reflecting in mobi lite wallet? Can you tell me they are asking your Pan card for Transfer money ? pan card & money to bank both are different matter? Maine 26 rs transfer kiya tha 3 hafte pehle almost 7days me bank account me aaya tha. But still i dont trust this. I was using mobikwik lite to transfer oxigen cashback to bank account.i had 90 rupees in my oxigen wallet.but I didn’t get my money in bank.and my rupees is lost. I made these transactions 5 days ago. Can you please contact Mobikwik on Twitter ? yash bhai humko bhi bata de ek trick. i had 2000 in OXIGEN WALLET RBL FUND. i created a visa card of 50 and used it on paytm wallet. somehow i get succes in adding to paytm wallet even after page crashed. but after that every time paytm shows transaction declined by bank..
we don’t have any experiance with Oxigen wallet, Only the experiance is that “Oxigen Visa card not working for me” So delete that card and raised the refund request in oxigen wallet. Got Refund Transferred to Bank account instantly. Delete your card and create new! bro i have already paid rs100 from oxigen wallet.so now what should i do?? You will get the amount credited in 3-4 days. Great… Taking risk with small amount is always good. I transferred 10 using Mobikwik lite payment link only 1re reflected to my bank account****Your a/c no. 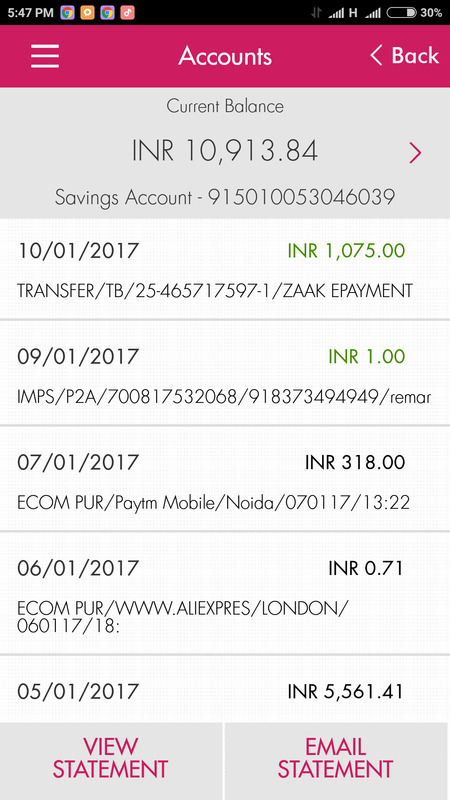 XXXXXXXX4803 is credited by Rs.1.00 on 09-01-17 by a/c linked to mobile 8XXXXXX949 (IMPS Ref no 700908565815). I got money in Today morning..
Just Contact Mobikwik and ask them about this problem, they ask your pan card & aadhar card.. So Provide. Don’t take Any Tension, Just wait for 3-4 days (2 days for my payment). I also got my Payment, which i done 2 days back. I am also suggest you to Upgrade your account because my account was verified. Have a Look:- http://rechargetricks.in/mobikwik-upgrade-wallet-limit-1-lakh-aadhar-card-online.html within 1 minute your account get upgraded. Also You can contact mobikwik if it takes more than 4 days. yes , i also got it after 4 days but i asked them in twitter and they said same . i got it in total value , it’s great if we have oxigen wallet , mobikwik wallet credit balance to be added to bank . good loot works great . wish they provide freecharge wallet option , if its there then all voucher balance can be transfered. Mera oxigen ka Rs52 nahi aya or oxigen ka bal bhi 00 ho gaya bhai ah kaise hua please help me bro….. Wait for 3 days to recieve Payment. Please contact Mobikwik about this, Almost all peoples got their money in 3 working days.. Please Contact Mobikwik on their Twitter acccount. And I am waiting for mobikwik to send it to my bank account. I had requested them not to transfer to my bank accounted rather to my wallet. Check Right Hand Side for Zaakpay contact. Please contact them via Email.. I am unable to find Customer care number. Hi bro, my money(Rs.4000) has stuck with zaakpay. When i have contacted mobikwik on twitter they sent me below message. so what should i need to metion the reason for purpose of receiving funds? Please help me bro. Why you tried such big amounts ? By the way.. Write Email and include all things which they are asking. Purpose of recieving- i am accepting Payment from Customer for selling a products etc etc. I have tried to transfer the mobikwik wallet money through this process. Okay today i will send the mail along with the all documents. Bro below is the reply i got from zaapay operations. So please let me know what to mention to them. Help is much appreciated. This is in reference to your below mail. Kindly share the details of product and service involved in you transaction as it seems you have tried to transfer cashback amount to your bank account which is not allowed. Please also note that if there is no involvement of product and services in the transaction then the whole amount will be reversed back to the source account. So Ask them to reverse the amount.. So you will get back to Oxigen wallet..and Keep in Oxigen wallet.